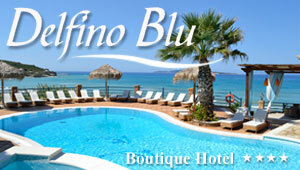 Agni Corfu: Agni bay is located 30 km from the main town of Corfu and 11 km of Kassiopi. The petite bay consists of shiny pebbles and a few patches of sand. There are three decent taverns that are open only during the summer season and offer breathtaking views to the Albanian coasts. Wild vegetation and pebbles encircle the beach. The bay has jetties which have been built with the primary motive of offering anchor to the boats that ply from here. The beach slopes profoundly into the sea and there are numerous jagged submerged rocks that make it out of bounds to children. Sunbeds are provided by the taverns. The scenic beauty of Agni offers visitors tranquil moments. There is a diving centre offering numerous training courses offered to enthusiasts or amateurs. You can reach Agni by bus. In close distance from the beach there are two taverns serving famous Corfiot dishes and delicious seafood delicacies.